But your kids are also engaging with the popular digital voices inside the smart speakers in your home and your big concern has mostly to do with privacy. That's the chief takeaway from a new study, exclusive to USA TODAY and conducted in February, by Common Sense Media and SurveyMonkey Audience. More than 4 in 10 of the 1,127 parents of children ages 2 to 8 who participated in the survey say their family uses a smart speaker such as the Amazon Echo or Google Home. Nearly 6 in 10 say their young children interact with a voice-activated assistant such as Siri or Alexa. And 58 percent of parents whose kids use the smart speakers think it is at least moderately likely that someone could hack those speakers and listen in to their conversations. As a result, 40 percent have turned off their smart speaker's microphone to prevent it from listening. The eavesdropping concerns are not entirely unfounded. You need only rewind to last May when stories emerged about an Oregon family whose private conversations were recorded by their Amazon Echo smart speaker and emailed to a random phone contact. Amazon confirmed the incident at the time, and no, it wasn't a malicious hack. Alexa triggered the action after hearing an unforeseen combination of random words in a conversation the family didn't realize was being overheard. It's important to recognize that while Alexa may be listening for its wake word, it is not constantly recording. But when Amazon's assistant does wake up, that's when what it hears is sent to the company's cloud servers, where your words are recorded and translated into commands. Alexa also keeps a record of all the commands you've given it so that it can better learn how to answer you. A whopping 93 percent of parents in the SurveyMonkey poll who use such voice-activated devices say it is important to know when their family's voices are being recorded. An equal number said it's important to control whatever information is collected about them. Nearly as many want to control whether the family's voice data is being used to deliver more targeted ads. "This report is a clarion call for tech companies and privacy regulators, that as these devices are brought into the home, there's nearly unanimous concern about privacy," said James P. Steyer, founder and CEO of Common Sense Media. "Until privacy regulations are worked out, parents should turn off their home assistant's microphone when they're not using it and do regular privacy checks to maintain their comfort level with these devices." Adds Jon Cohen, chief research officer at SurveyMonkey, "Our study pinpoints privacy as a major concern among consumers who use smart speakers, particularly among parents of young children. 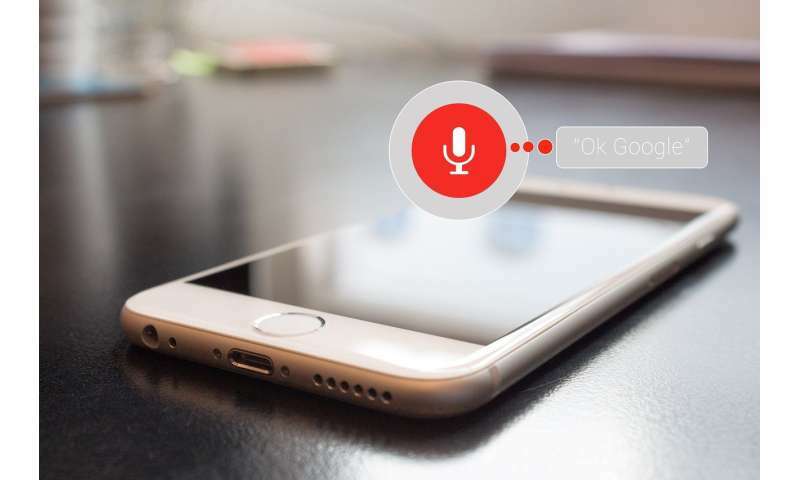 As voice-activated assistants are incorporated more fully into family life, brands need to carefully balance these widespread privacy concerns with their relentless build-out of ever-more-advanced features that promise value, convenience, and plain-old fun." You can visit settings on Amazon's website to review your Alexa voice history, and listen to and delete any stored recordings. Go to myactivity.google.com to similarly purge Google Home recordings. Among the other SurveyMonkey findings: Parents report that most kids get that the voice-activated assistants are not human, with 39 percent identifying them as robots, and 26 percent as computer programs. Even at that, 79 percent of parents say it's at least moderately important for their kid to be polite to a voice assistant, which 68 percent report is the case. The youngsters, they claim, have never said anything mean, rude or inappropriate to the assistants. But 55 percent of parents also say that their child's interactions with a smart speaker haven't had much of an effect on their kid's communications skills. And 64 percent say it has had zero effect on their child's screen-time usage. Half of parents say their children interact with a smart speaker once a day or more, most often to play music (47 percent) but also to get information (12 percent), just to talk or fool around with (12 percent), or to get jokes (10 percent). And about 3 in 10 parents say voice-activated assistants are extremely or very helpful in accomplishing parenting tasks, such as making grocery lists, answering children's questions, or setting reminders. More than 4 in 10 parents of 6- to 8-year olds say their children use the assistants for homework help.